Near the south-west edge of Kensington Market, I don’t think I’ve ever noticed this place before we scheduled an event here. 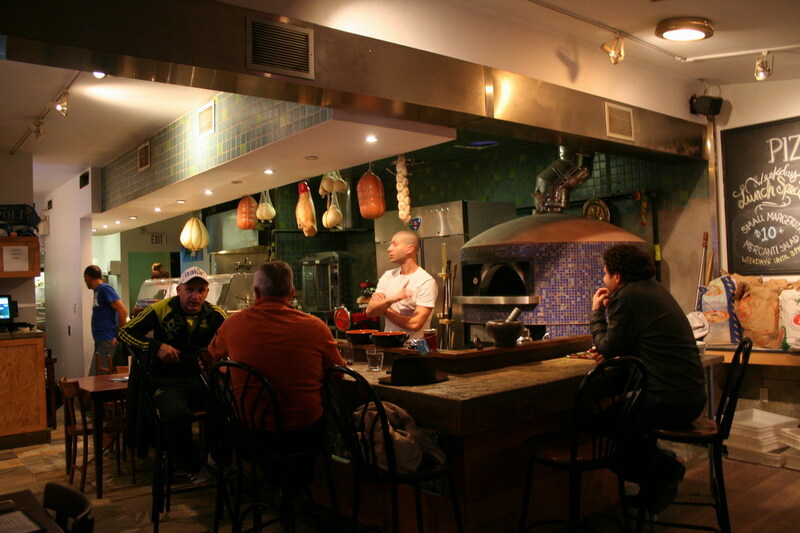 They’re known for their Neapolitan pizza – traditionally characterized by a thin middle, fluffy naan-like crust, and wonderful blister and char marks on the bottom. They also advertise their use of “00” (double zero) flour, which is a much finer grind than regular all-purpose flour. The venue is very spacious, with two separate seating areas separated by the bar. We had initially planned for a table of 11, which they were easily able to accomodate. They also had a bunch of very nifty beers on tap, including an Italian beer that’s been outsourced for production from Mill St.! 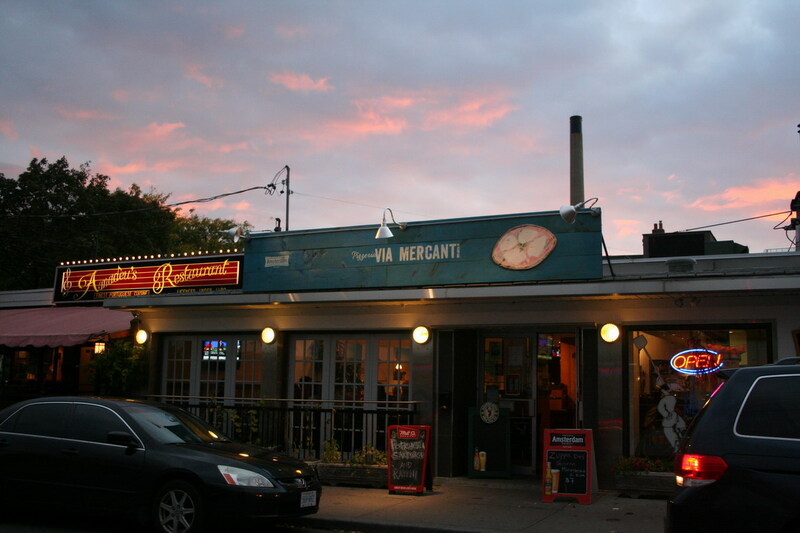 I didn’t get any details on the oven, so I can’t speak to whether it was imported from Italy (like the other Neapolitan pizza places in Toronto), or built nearby. Aside from pizza, there are a handful of appetizers and pastas on the menu as well. There is also a selection of “white” pizzas, i.e. those without tomato sauce, making about half of the menu. 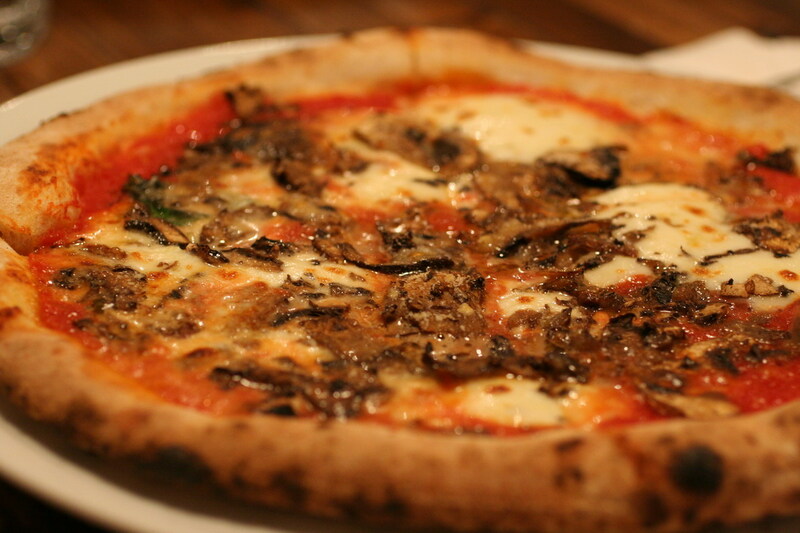 The Funghi Pizza ($13) had lots of mushroom, and evaporated enough that they’re not too watery. There are generous amounts of Fior di Latte cheese on top, especially compared to my experience of stingy cheese at Queen Margherita’s Pizza. The cheese was a bit dense, as I’m used to a very light, very thin amount of cheese, so it led to the pizza having a chewier texture. The crust is a bit dense/flat, albeit some other people noted that their crusts were slightly undercooked. The center of the pizza is thin, floppy, but not a soggy mess. The Napolenata Pizza ($14?) 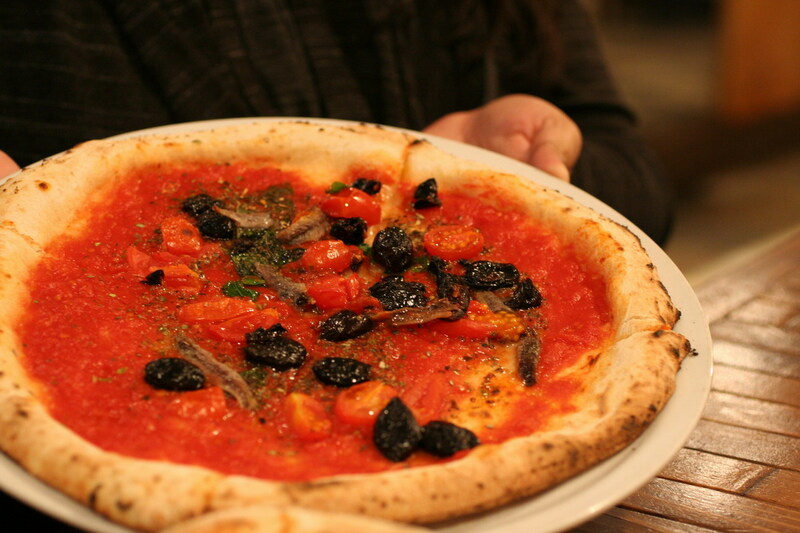 — anchovies, olives, tomatoes, but with no cheese on top. Definitely very salty and tart, not for everyone. The olives surprisingly weren’t as salty as I was expecting. The anchovies were whole, and not particularly fishy-tasting, which I appreciated. The saltiness and acidity would definitely have been tamed with a bit of cheese. Not pictured, we also tried the Via Mercanti pizza, is described as a double decker pizza — it’s essentially a stuffed pizza, with a thin margherita pizza on top, and meats and ricotta inside. I was actually really impressed with the quality ingredients used, and it was still very light and fresh tasting despite the amount of cheese and meats. 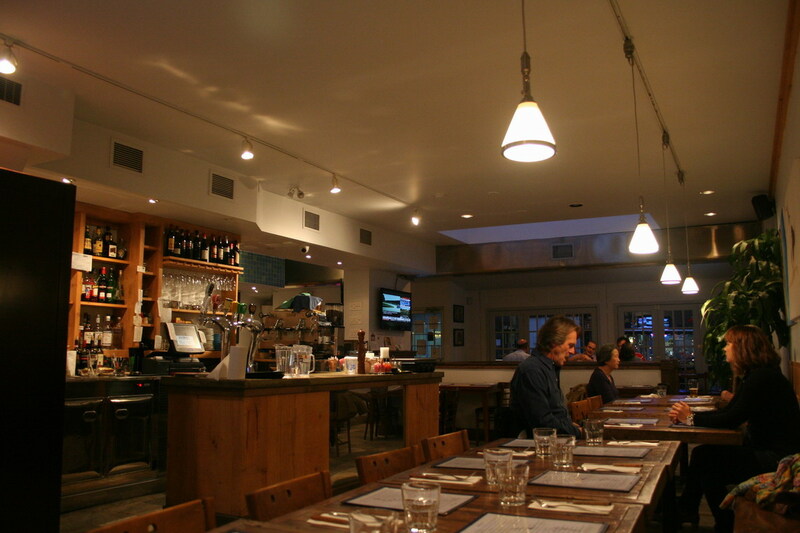 The overall impression from other folks was that Libretto does a better job. I still have yet to make a trip to Libretto, but I can see how the crust here doesn’t quite stack up to the crispy fluffiness of Queen Margherita. The toppings, however, were top notch. Just went there tonight! While the atmosphere was a little tense as many of the tables were reserved and yet people didnt show up, we were still able to not feel hurried while enjoying the meal. Got the double-layered pizza. It was superb! I felt the crust to be quite salty.. but my SO didn’t mind it. The accompanying tomato chili sauce was awesome for the salty crusts. And if you’re going to get pizza, don’t get the pizza balls — they’re just miniature versions of the pizzas. Oh – we also had the tiramisu… which can be skipped altogether.